Ok, two things and In will let you go, I know you are busy this time of year. Operation Northern troll, send CCP a christmas card https://mikeazariah.wordpress.com/2015/11/22/ooc-operation-northern-troll/ Send ccp a real honest to goodness Christmas card. 2. Operation Magic School Bus will be doing a special double run through the career systems with a small twist. For the Holiday runs I will announce each day where the Bus is and stay there, for the day (on and off as rl allows. Special gifts shall be handed out as the spirits demand. Sop watch here or me on twitter @mikeazariah to see where I am. 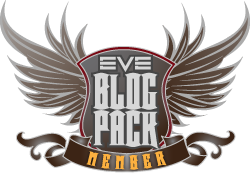 This entry was posted in Uncategorized and tagged Christmas, eve online, Magic School Bus, Northern Troll, OOC. Bookmark the permalink.